Platinum Games' The Wonderful 101 has already been out in Japan and Oceania for a little bit now. A frequent commenter on SuperPhillip Central and the editor-in-chief of Digitally Downloaded didn't really enjoy this title as much as we would have liked to see, as evident in his review of the game. He's not alone in his assessment. However, The Wonderful 101 seems to be a game that is destined to be a cult classic anyway. We'll have our own review of The Wonderful 101 a little ways after the game hits our shores this Sunday. 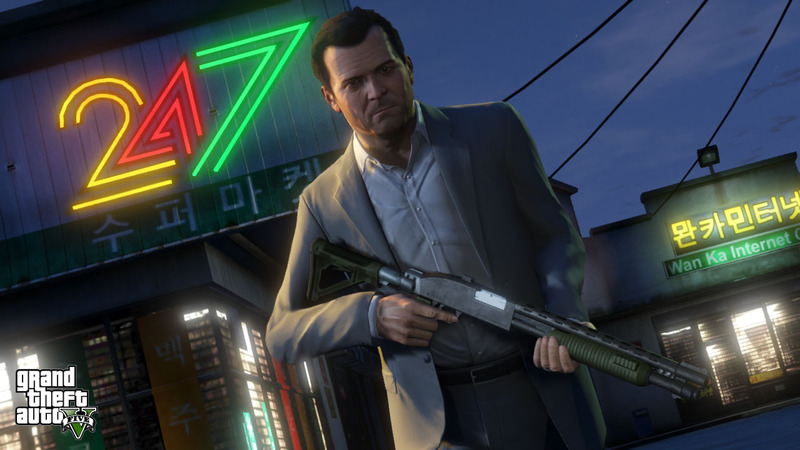 It's been four years coming now, and Grand Theft Auto V is less than a week away from launching. The marketing blitz has begun, and our hype is at an all time high, probably like many of our readers out there. Grand Theft Auto V is one of the most expensive games ever made, and with all of the trailers, screens, and interviews posted, we can understand why. 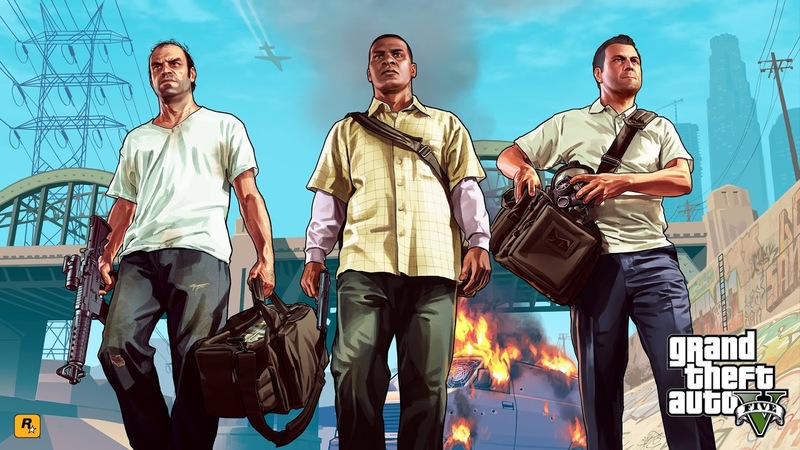 We've compiled a short list of the five (or V) main reasons (there's plenty more small ones) of why we're more than ready to insert a copy of Grand Theft Auto V into our PlayStation 3's and Xbox 360's. After you've read over our reasons, why not write up some of your own in the comments section? For the first time in Grand Theft Auto series history, players will have three unique characters to play as through the story mode-- Michael, Trevor and Franklin. These characters can be freely switched between. 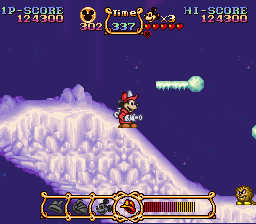 A character's portrait will begin flashing red if they become in danger, while a flashing white character portrait will indicate that the character is in a tactically sound location. 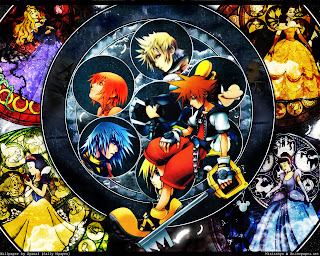 In addition to this, each character can learn and upgrade one of eight skills. Regular play through the story mode means these skills will increase in usefulness as the game goes on normally. 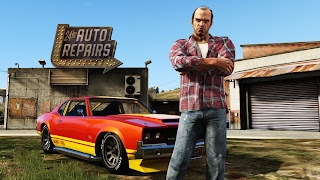 Each character also possesses his own special skill, such as Michael's ability to enter bullet time mode in a gunfight, Trevor's halved damage taken and double damage dished out, and Franklin's ability to slow down time while driving, making dangerous turns with traffic all the safer. What we're looking forward most to with regard to this three protagonist system is how each criminal characters' story will intertwine with the others. This will make for an interwoven tale that is sure to be exciting and interesting. Given Rockstar's terrific ability to come up with a compelling script, we're pretty confident that Grand Theft Auto V's addition of three main characters will not disappoint us. 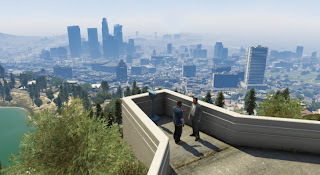 One of the first things that popped into our minds when details of Grand Theft Auto V emerged was "what is the map like? What is the map like?" A great or poor open world setting can make a game sink or swim. It can be the difference between an interesting world with plenty of things to see and do, and a boring world that is no fun at all to traverse. The map for Los Santos and surrounding areas of Grand Theft Auto V has been revealed, and it's absolutely massive. 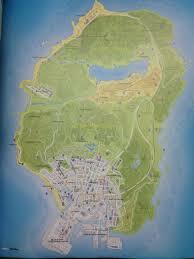 It makes the already expansive map of the original GTA: San Andreas look like a community park in comparison. According to the developers, GTA V's map is gigantic enough that it can fit the game worlds of GTA: San Andreas, Grand Theft Auto IV, and Red Dead Redemption combined inside its boundaries. The thing that excites us most is that we know that Rockstar are masters at creating maps that are a blast to explore. There will be no question that Grand Theft Auto V's world won't just be large, but it will be dense with activities to do, unique landmarks and buildings to see, and real estate to cover. We can just imagine driving down a desert highway in a convertible with the sun setting in the west, making our way from Los Santos to Blaine County. While this portion of Grand Theft Auto V will not be available until October 1, Grand Theft Auto Online has Rockstar promising continued support throughout its lifespan. 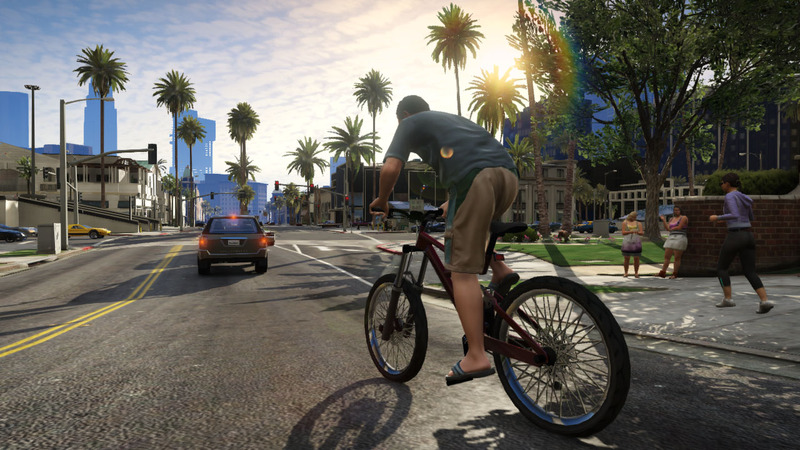 But, what is Grand Theft Auto Online? Obviously the online part of the title divulges some information there. 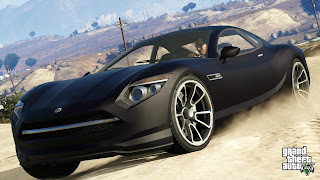 This significant piece of Grand Theft Auto V will allow up to sixteen individuals to explore the world, participating in things like races (which the player can create their own racing paths for), an "innocent" round of golf, and commit crimes in the form of a bank heist, for example. Meanwhile, there are plenty of competitive offerings available for online players. By teaming up with others and forming groups called "crews", players can take on other crews in deathmatches. The points earned in these matches will make said crews go up on the online leaderboards. It's absolutely fascinating that for sixty dollars we're getting two unique experiences-- a full fledged campaign and an online component that will look like it will easily blow GTA IV's efforts out of the proverbial water. Grand Theft Auto IV was a good game, but we believe it does not deserve to be anywhere near the top of the list of best games of all time, such as it is seen on Metacritic (which shouldn't be given as much weight as it is, but that's a subject for another day). It had a fair amount of problems that hindered our enjoyment of the game. One such issue was the feel of each car driven in the game. The controls felt way too heavy and didn't lend themselves well to the gameplay. 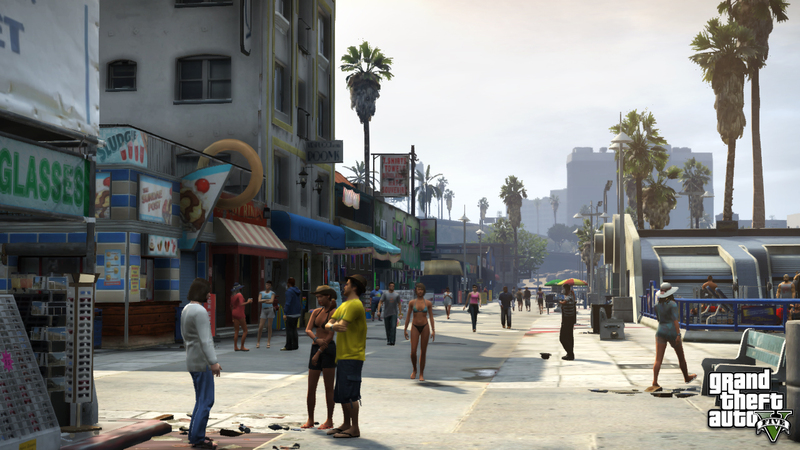 Getting around Liberty City, albeit how small it is in comparison to GTA V's world, was an annoyance because of this. Even the developers admitted the controls felt almost boat-like in their heaviness. GTA V fixes this, creating controls and a feel for each vehicle that gives each ride a more arcade racer-esque feel to them. Another important fix comes with gunfights. Instead of being forced into standing still when firing any weapon, players can now blindly shoot from the hip. Weapon accuracy understandably goes south when you do this, but it's lovely to have this option. That's not all for the changes to the gunplay. GTA IV's hard locked aiming has been totally removed. This is great news, as the shooting in GTA IV made it so there was little in the way of skill required. You didn't have to put forth much effort into finding your targets, as the game would basically do it for you. These changes are most certainly welcomed ones that have us eagerly anticipating trying them out for ourselves. Customization is something that is very important to us in our open-world games. We love piddling around and fixing our characters to our every possible whim. 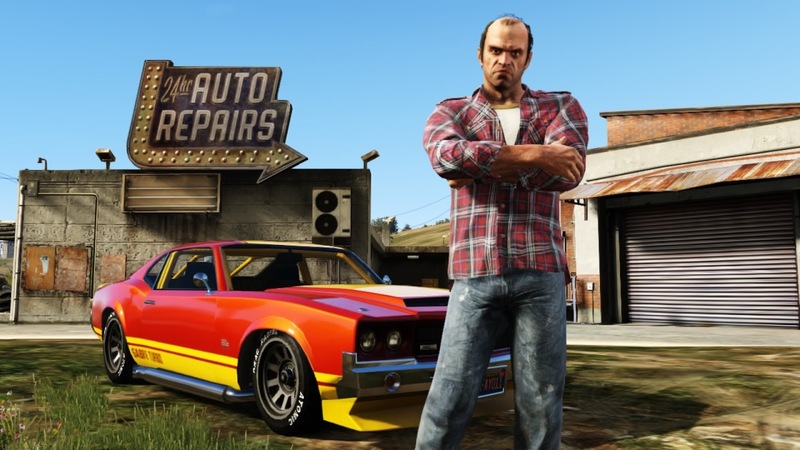 Grand Theft Auto V goes beyond character customization (which is still present) by offering upgrade-able weaponry and cars. Every girl loves a sharp dressed man, and with the amount of clothing options in GTA V, you'll be able to dress as much of a player or a hater as you'd like. With the weaponry, ammunition returns, but that's not the only thing different in this installment of Grand Theft Auto. Now you can add attachments to your guns, such as ones that increase the amount of ammo you can carry per clip, ones that increase accuracy by giving you better grips, and even aesthetic alterations for scopes and suppressors. Going even crazier with the amount of customization, the developers have included over 1,000 custom modifications available for cars. These include brakes, body kits, paint jobs, horns, tires, armor, and much more. 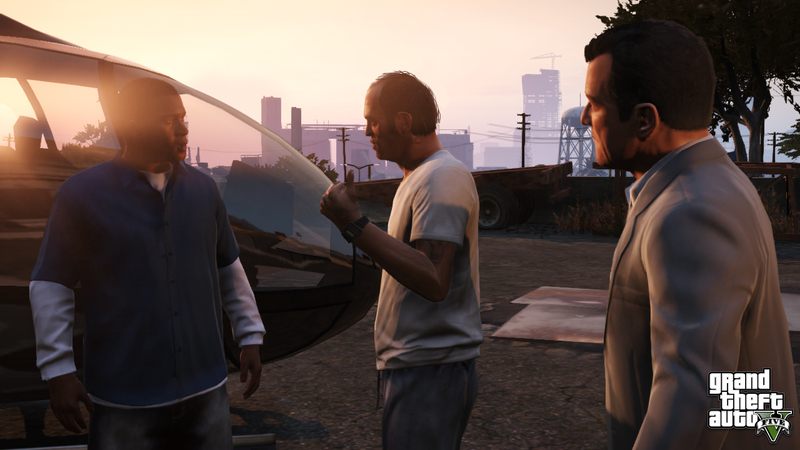 Custom cars can be uploaded to Rockstar's Social Club so players can share their creations with the public at large. The folks at Image & Form have something very special they can boast about. Their game, SteamWorld Dig, has reached the number one spot on the Nintendo 3DS eShop charts in all territories. That's no easy task, or a task to scoff at. 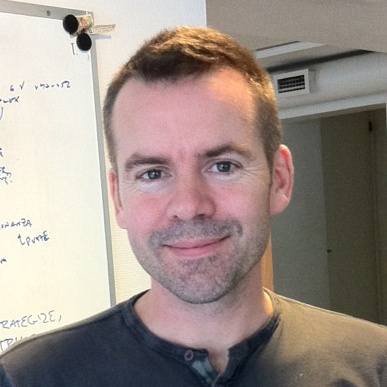 I recently caught up with Brjann Sigurgeirsson of Image & Form to discuss the studio's transition from children's games to games for a broader audience, the development of SteamWorld Dig, and the future projects the team will be working on. Phil Stortzum (PS): Before we dive right into things, can you tell our readers a little bit about yourself? Things such as your experience in the gaming industry, why you decided to enter the industry, favorite games, etc. Brjann Sigurgeirsson (BS): I'm 45 years old, got five kids and a dog. And a cat. And a fairly understanding wife. I started making small games on a system called ABC80 at the age of 13 back in 1980. Every pixel was as large as a lump of sugar, and I was programming in Basic. Those were the days! Then, in 1991, Apple released System 7 and I happened to live in Tokyo. The company I worked for switched into a multimedia outfit, and we made a lot of questionable titles that weren't really games, but these days would have fit into the genre called "gamification". It was quite interesting. There were no rules for these multimedia titles, the whole industry was learning as it went along. My favorite game of all times is chess. I've played it for as long as I can remember, and I still play a few games every day. It's the greatest game ever invented. It's simple, it's complex, and it's FAIR. There's no luck, no hardware advantages, no lag issues... just two minds pitted against each other. It's wonderful, and it's fresh every time. For video games, I'd like to mention a game called Spaceward Ho! for the Mac. It's also an old game, but it was fairly recently ported to the iPad. Lovely space explore & conquer game, fantastic in depth and charm and quite unknown to most. The Monkey Island titles are superbly quirky and funny. And obviously everything where Sid Meyer has been involved in. After the first batch with Space Invaders, Defender and the like, my first real arcade game affair was with a game called International Karate. 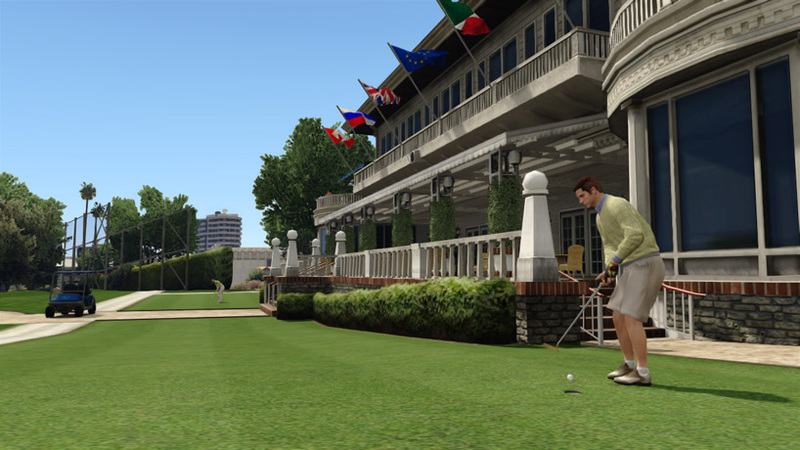 Low-res graphics, good controls... very gratifying. PS: How did Image & Form come to be? BS: Image & Form, besides having the worst name in the gaming industry, for the longest time wasn't even a game studio. My wife at the time and me started out after many years in Japan, followed by a couple more in San Francisco. We were waiting for multimedia to catch on in Sweden, so that we could go home and find employment. We had done quite a few different multimedia things by then, and thought we would be kickass employees. When we moved back to Gothenburg in 1997, we applied for work here and there - and got all the jobs we applied for. This made us cocky enough to start our own business, and the name was a worst-case compromise. We made a lot of presentations, graphic design and websites the first years, and didn't get into real game development until a Norwegian publisher asked us a save a sinking children's game in 2002. Then we made more and more of those edutainment games (using ole faithful Macromedia Director), until we one day realized that we were a game developer. PS: Image & Form previously worked on many PC games for younger players. What made the studio decide to shift focus and make games for older audiences? BS: At one point, when we were nearing 30 titles in the franchise, we understood that we had to do something else. We were eight people at the time, and everyone was creatively starved. Plus the fact that sales of physical PC/Mac CD-ROM games was starting to decline quite rapidly. We had to do something else. The App Store was opening its doors at that point. Great things were afoot. PS: What made the team decide to move from PC to iOS devices/Nintendo 3DS? Will you return to PC development in the future? BS: We moved out of necessity - see above. In 2010 we released our first Nintendo DSiWare game called SteamWorld Tower Defense. It surprised us by breaking even in a quite terrible marketplace, but we also were scared of doing more things for the Nintendo DSi. It was a much smaller market than we had expected, and we didn't want to go into distributing physical games - we were determined that the future lies in digital distribution. We made a couple of poor-selling iOS titles, and then we suddenly had a major hit with Anthill for iOS towards the end of 2011, which was selected as iPad Game of the Week and won awards and nominations. We weren't really prepared for it, and it feels like it went away as quickly as it had come. But we felt that we could actually create great games. It shattered a glass ceiling of sorts for us. We will most likely return to PC development, and probably sooner than you'd expect. The possibilities there are greater than ever. PS: What changes did the team experience from the jump from making PC software to making games for mobile/handheld devices? BS: It's a big difference, especially if you factor in that we went into developing for a radically different audience. So it was a huge leap: new platform, new tech, new consumers. In retrospect, it looks quite daring, but we didn't know what else to do - it was either that or leaving game development. We found that mobile development was very different from mastering physical CD-ROMs. In many respects, it was simpler and less scary. But at the same time, the PC/Mac titles we made were work for hire, and so we were leaving a very comfortable spot and going into the great unknown. Since we had been "hiding" behind a publisher the whole time, we didn't have any good press contacts etc. It took us a while to get used to this new role. PS: All of the developers we have spoken with so far have stated that working with Nintendo is much easier than before. How is working with Nintendo, in the team’s view? Are they, indeed, easy to work with? BS: I couldn't agree more. Nintendo has been friendly and personal, while the application and submission processes are almost as hard as before. It's a good thing, since it means you're likely to continue seeing quality titles on Nintendo's platforms. Less serious developers will shy away from the hassle. But the biggest change probably occurred here in our office. With SteamWorld Dig, we weren't as intimidated by The Big N as we were when we put out SteamWorld Tower Defense for the DSiWare Store. PS: Do you believe the eShop is satisfactory in its current shape? If not, what would you improve? BS: I would like to see more games, but not at the cost of quality. The App Store has an amazing variety of games, but it's getting harder and harder to find what is good and what is not, and I wouldn't want the eShop to be in the same position. I also believe that Nintendo should make some special category for third-party games. We managed to beat their own titles on their home ground (with a lot of help from Nintendo themselves! ), but I think SteamWorld Dig is a very unusual animal and it's not a thing that will be repeated easily. It's tricky when the platform owner has the capacity to plug their own games, it could easily become unfair. So an "indie shelf" or the like would be very interesting, as long as it's not tucked away in some dark corner. PS: For those that are unfamiliar with your new game, what can you tell our readers about SteamWorld Dig? What makes it compelling compared to all the other titles released on the Nintendo eShop? 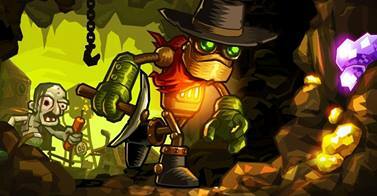 BS: In SteamWorld Dig, you take the role of Rusty, a robot newcomer to the ailing mining town of Tumbleton. You take over the mine from your Uncle Joe (who's gone missing), and start digging down to find out what is going on. You dig, you fight, you climb up and down, find lots of strange stuff... and face the ultimate showdown in the end. 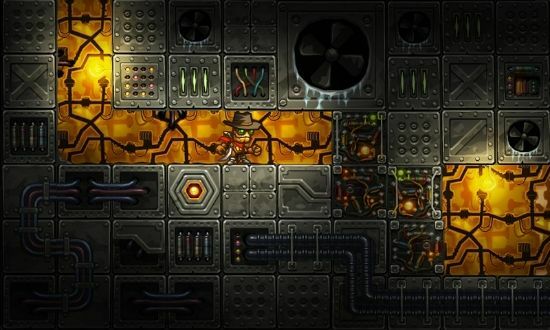 SteamWorld Dig has some elements that appear in classic games, but it's not like any other game. We like to call it a "platform mining adventure": the controls are those of a platformer, the objective is mining, and the background story makes for excellent emergent gameplay. You can play it in different ways, slow or fast, and still not do it "wrong" - it caters to both explorers and speedrunners. The visuals are stunning, and the gameplay mechanics are fantastic and deep. It's a gamer's game, and should appeal to everyone who likes classic games. PS: Where did the inspiration for SteamWorld Dig come from? Did any other games influence its creation? BS: There are a lot of digging (and non-digging) games that obviously inspired us, but the biggest inspiration came from Dig's spiritual predecessor, SteamWorld Tower Defense. After we had released that game, we would sit and discuss how this strange world had come about, where robots were the friendly master race and humanity had been demoted to living underground as greedy, unsympathetic trolls. We always wanted to expand on the story, and finally decided to go for it. PS: How long was development for SteamWorld Dig? Were there any issues, problems or challenges the team had during development of the game? BS: We started developing SteamWorld Dig in October 2012 and submitted for lotcheck at the end of June 2013. For us, that's a very long development period. The main issue appeared some 2-3 months into development: the game simply wasn't fun to play, and early testers were looking at us with "what am I supposed to do now?" expressions on their faces. We decided to take a step back, not develop anything for a few days, and just brainstorm around this problem. We then made some bold decisions, to introduce the wall-jump that we'd been avoiding - we thought the game would just be too short if you could dig vertically down and jump up the same way instead of having to zig-zag your way down - and to shorten tutorials to a minimum. Rather, let people find out for themselves what they're supposed to do, and don't let them go until they've learned it. PS: What is the team most proud of regarding SteamWorld Dig? BS: I think different people are proud of different things. Art director Tobias Nilsson and his team of graphic artists are - and should be - proud of everything they did: the characters, the environment, the lighting, and the special effects. Lead designer Olle Håkansson and the programmers have created an amazingly compelling gameplay, which doesn't let you go. Script writer Peter Broqvist should take pride in scaling back the background story to a minimum - people don't have to be told exactly what's happening the whole time, it's very gratifying to read between the lines. I'm proud of the team's commitment throughout the process. It's easy to realize at one point that a game isn't going to be as good as you hoped and then simply continue "to do what you're told to." When SteamWorld Dig needed fresh ideas, the whole team pitched in and put it on the right path again. I'm also proud that we managed to get to the #1 spot in all the territories. For an indie title, it's a near-unattainable achievement. But that's not something we did by ourselves - a lot of selfless people have helped. It's easy to root for the underdog - and wonderful to watch that underdog win. PS: How is it being an indie developer in today’s video game industry? Do you encounter any struggles? Is there any sort of risks involved? There's the everyday challenge of making the right decisions. If we bet on the wrong game or on the wrong platform, we're out of business. Complete failure is potentially never further away than the next title. There is personal financial risk and dependencies. If the wrong people quit, you can't simply call in the next ones from the bench. That said, being an indie these days is very exciting. Nintendo, Sony and Microsoft have understood there's a vacuum or window of opportunity right now, when many indie developers realize that they're simply not making money on mobile. PS: Are you able to divulge any hints about future projects? Does the team at Image & Form have an idea or two on what they’d like to develop? - a wonderful iOS game called Spin Demon. We are full of ideas the whole time, and have around 10-15 strong game ideas that we would like to realize one day. Most of them are unique and very different from each other. PS: Does Image & Form have any desire to enter the console marketplace for your digital games? Is that a possibility for the future? PS: Is there a possibility of porting SteamWorld Dig to the PlayStation Vita, or creating a completely new game for Sony’s handheld? PS: Is there anything else you’d like to specifically say to our readers or anyone passing by? BS: Play more games. Or rather, play more GOOD games! Life's too short to play - and develop - mediocre, subpar or me-too products. So look for quality. It's out there. We can't thank Brjann Sigurgeirsson and the gang at Image & Form enough for their time. It's never easy going through an exhaustive list of questions, but Brjann did so splendidly. 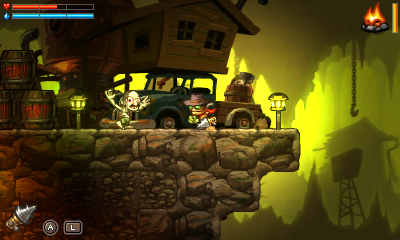 Be sure to check out SteamWorld Dig on the Nintendo 3DS eShop if you haven't already. SuperPhillip Central hopes to have more interviews coming down the pipeline. 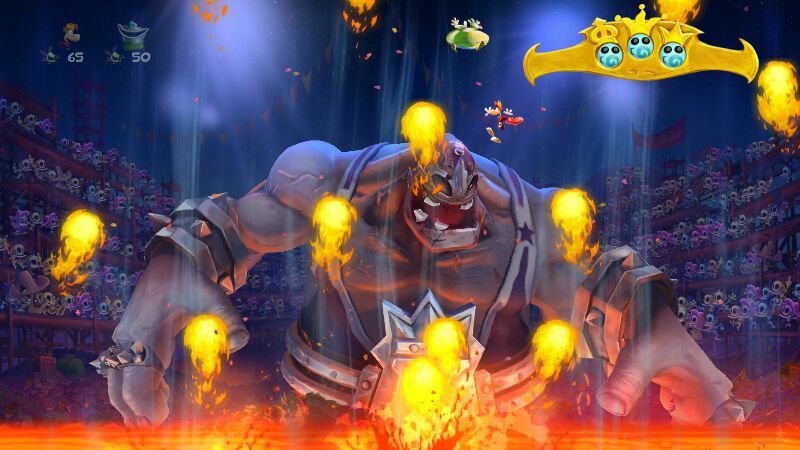 Last Tuesday Rayman Legends finally released in North America. We've been waiting for the game for a long time. Is it worth the wait? Phil has the review. Originally planned to be a Wii U exclusive, Rayman Legends was delayed from its late February release date and given an August (for Europe) and September (for North America) one. The purpose of this delay was to make the game multiplatform. This decision was made after Ubisoft's biggest exclusive launch title for the Wii U, ZombiU, sold horribly to the system's user base. Whether or not that decision was smart is up in the air. 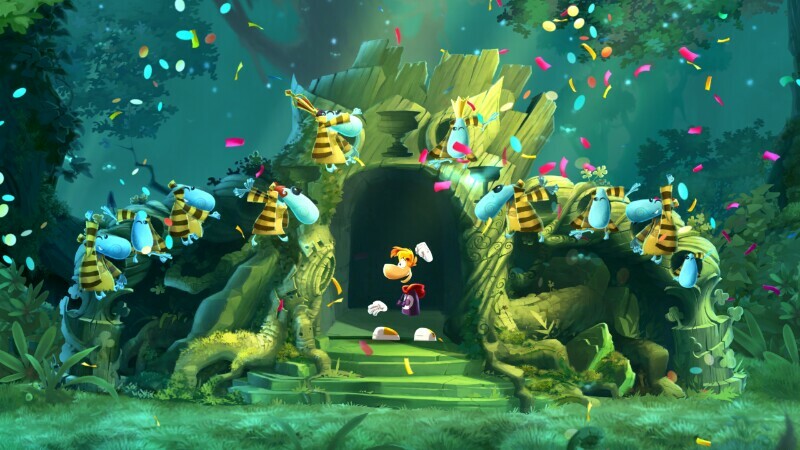 Regardless, as a lover of platformers, I finally got my hands on Rayman Legends, and it certainly lived up to my personal hype. 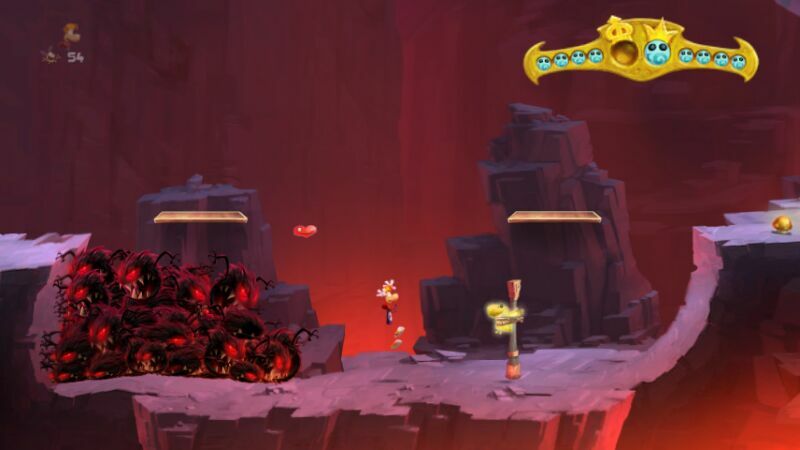 As a 2D platformer, Rayman Legends doesn't bog down the experience with a heavy-handed story. No, the game's plot is very simple. Blue characters known as Teensies have been kidnapped by a group of creatures known as the Nightmares. Murfy is called upon to wake Rayman, Globox, and the others out of their usual sleeping routine to save all of the Teensies across five main worlds. That'd wake even the deepest sleeper! Rather than have a world map like in Rayman Origins, Rayman Legends has a series of rooms that house a plethora of paintings that Rayman can leap into. As more and more Teensies are saved, more paintings open up. 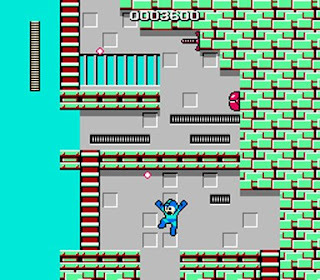 You need not go in order of levels as long as you recover enough Teensies, as worlds and their levels are unlocked by how many Teensies you have. 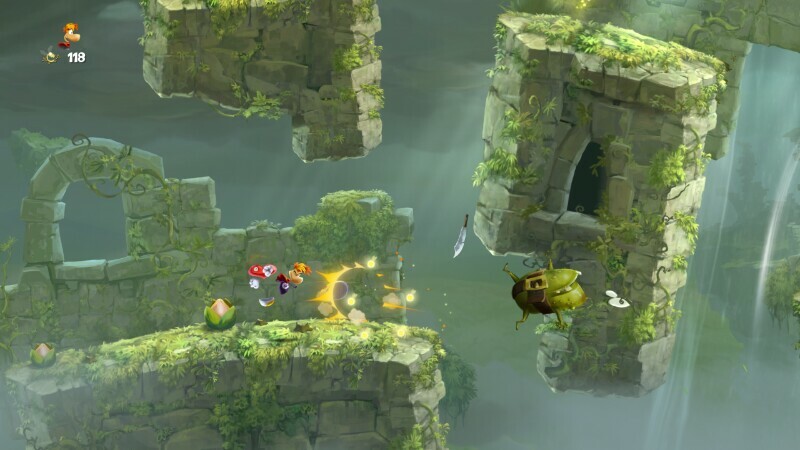 Rayman Legends constantly throws new gameplay styles, mechanics, and challenges at the player. One level you'll be floating in the wind while shooting down enemies, another you'll be running from a rampaging luchadore, and then there's a level where you'll swim stealthily through the water, dodging the trap lasers and lights that wish to cook Rayman's goose. "I'm sorry I said wrestling was fake! Stop chasing after me already!" At the end of the each world is a seriously fun boss battle. The combination of platforming, evading and taking down each boss makes for an insanely good time. After each boss, there is a musical level. What these include are dynamic songs that perfectly sync with your platforming. 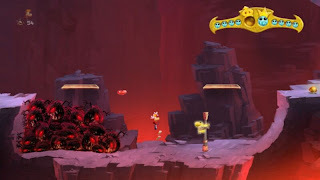 The first level, Castle Rock, uses a Rayman-ified cover of Black Betty that has enemies popping their heads out on cue with the music. They're glorious and highly creative levels that are an absolute blast to play. Just don't put Rayman in a headlock! 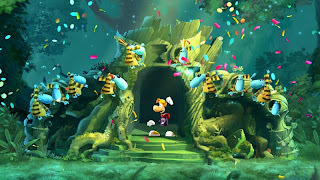 In addition to the all-new levels, which there are certainly plenty, by scratching Lucky Tickets you can unlock many classic Rayman Origins levels recreated in the Legends graphical style. Not all levels make a return, but the majority of them do. every corner of each level in Legends. 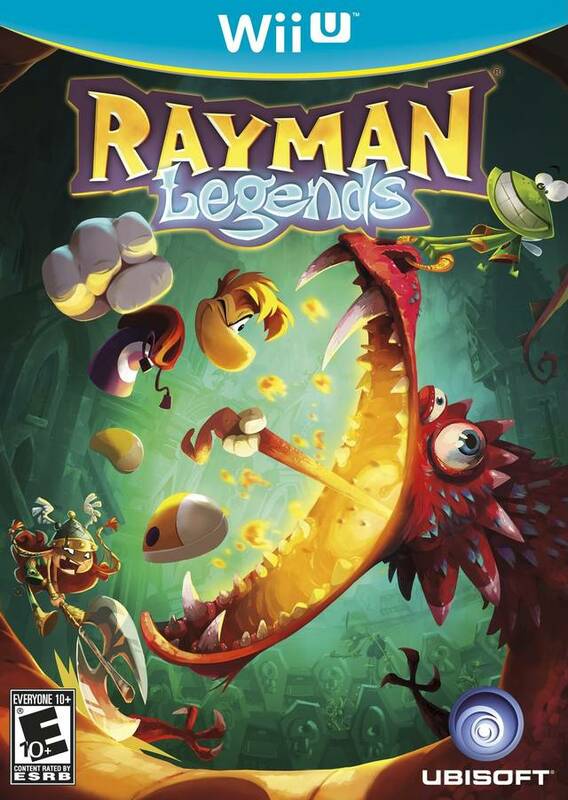 Legends is an overall easier game than its predecessor, Rayman Origins. Part of this is due to the abundance of checkpoints that the game gives you. In Origins, checkpoints would generally only come from entering doorways. In Legends, checkpoints come after almost every obstacle. Additionally, after successfully completing a bonus room, the Teensie you rescued will give you a heart (i.e. an extra hit to take). These are great alterations for beginning players to have a more accessible game to enjoy, but veteran players might feel like the game's difficulty is too dumbed down in comparison to Origins. That's not to say all of Rayman Legends is a cakewalk. No, no. There are some later levels that will definitely have your palms sweating profusely. 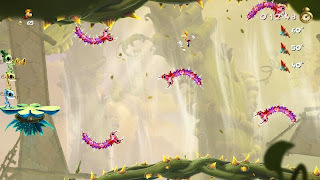 Add in Invasion levels (currently missing in the PlayStation Vita version, but they will be patched in for free), which have you making a mad dash through a hazard and enemy-filled obstacle course to save three Teensies before they are rocketed away, make for optional content that is truly challenging. I shouldn't forget about the last world, another optional task, that features 8-bit versions of the game's musical levels. Though, these are sometimes hard for all the wrong reasons. I won't spoil any more. seconds to rescue all three Teensie captives. 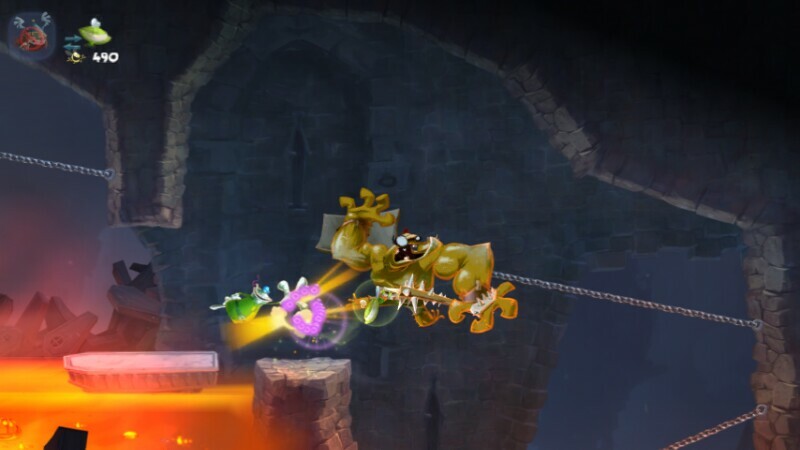 Perhaps the most asked about feature of Rayman Legends is the Murfy levels of gameplay. Obviously, the game and these levels were built with the Wii U GamePad in mind. If playing by your lonesome, you control Murfy, interacting with objects to allow the AI player to progress. These are things like switches, levers, tilting the controller to move platforms or entire rooms around, and so forth. In the beginning levels, the AI is pretty smart. Later levels will have you getting frustrated until you realize the intended path the AI will always take. Unlike a human player, the AI doesn't do much in the way of platforming improvisation. It has a set intelligence for certain sections of the game, and if you don't follow its logic, you will make the AI die. In cooperative play, which for the Wii U version supports five players, one player uses the Wii U GamePad to control Murfy and interact with the scenery while the other players go through the levels normally. while Globox smacks them into defeat. 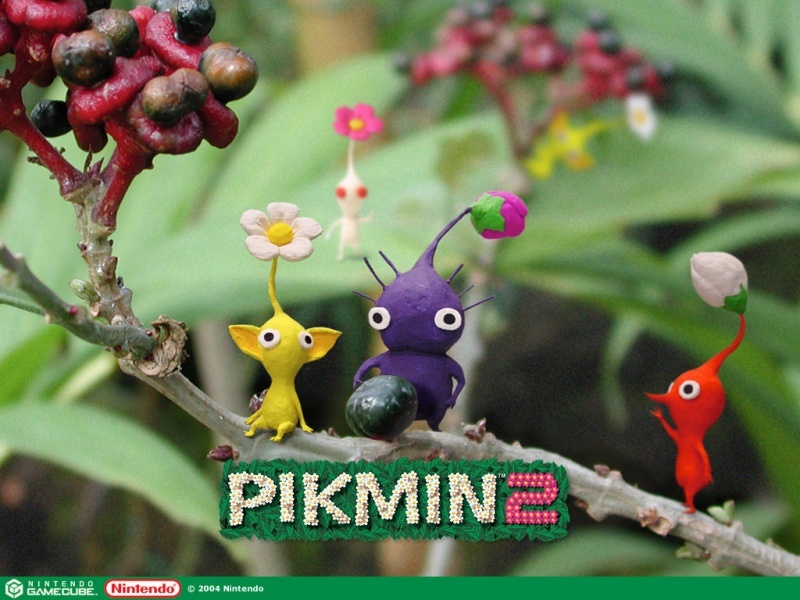 The ports of the Wii U version behave differently. 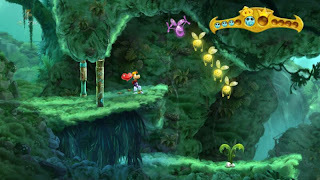 In the Murfy levels, you are in control of both the character and Murfy. 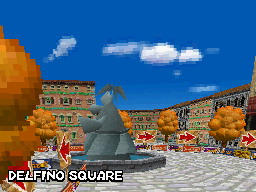 Murfy will come across objects automatically, and all you have to do is press a button to activate them. It's definitely not as fun as the Wii U version, but if you're playing the game solo, it might be a preferred method of play. Ultimately, for the (subjectively) best single-player experience, I would go with the PlayStation 3 and Xbox 360 versions, while cooperative players should definitely invest in the Wii U version. If you get tired of going through the campaign's levels, or you've taken the 10-15 hours to complete the game, there are always challenges to try out. Each day there is a new challenge to try out. Doing well in them rewards you with a trophy: either bronze, silver, gold, or platinum. However, you're always competing with the world. The top percentage of players earn a platinum, the next percentage a gold, and so on. This means that you could have earned a gold trophy during the afternoon only to get bumped to a silver trophy when other players beat your time or score for that given challenge. There are four unique challenges at any one time: a daily challenge, a weekly challenge, an expert daily challenge, and an expert weekly challenge. 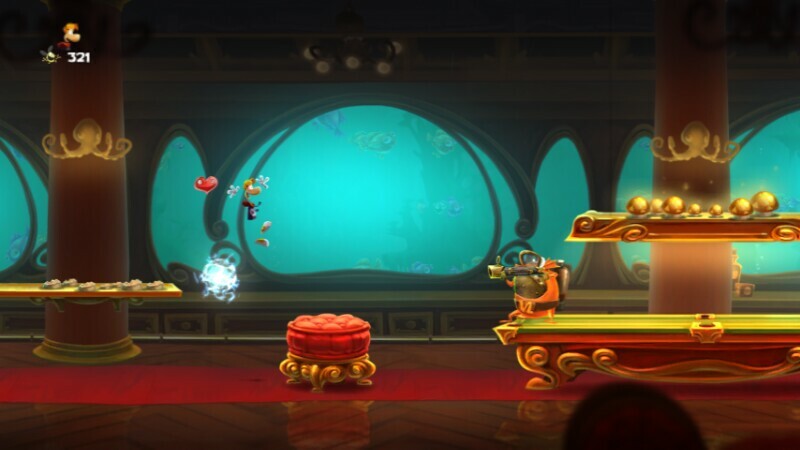 Rayman and friends have a more floatiness (that's not a word, but work with me here) to their jumping. It's nowhere near as problematic as LittleBigPlanet, but it does take some getting used to. Unlike Rayman Origins, Rayman and company already have their whole move set unlocked from the get-go. All the wall jumps, slaps, and glides are their for your amusement and platforming prowess. Not such a great shot, are you? 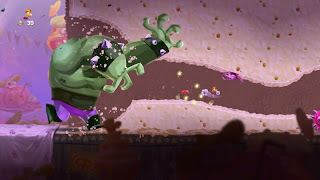 Rayman Legends is like a cartoon come to life. Rayman Origins had a bit of a flat feeling to it. Legends corrects that by having great contrast on characters via shading. Speaking of characters, they are incredibly expressive in both sight and sound. Levels are visual treats, too, offering a stunning amount of eye candy and beauty. This is all while running without a hint of slowdown. The music in Rayman Origins was phenomenal, and Christophe Heral delivers a sensational soundtrack yet again for Rayman Legends. There's tense tracks, happy-go-lucky tracks, and a great number of them are highly memorable. Someone give this dragon a breath mint. 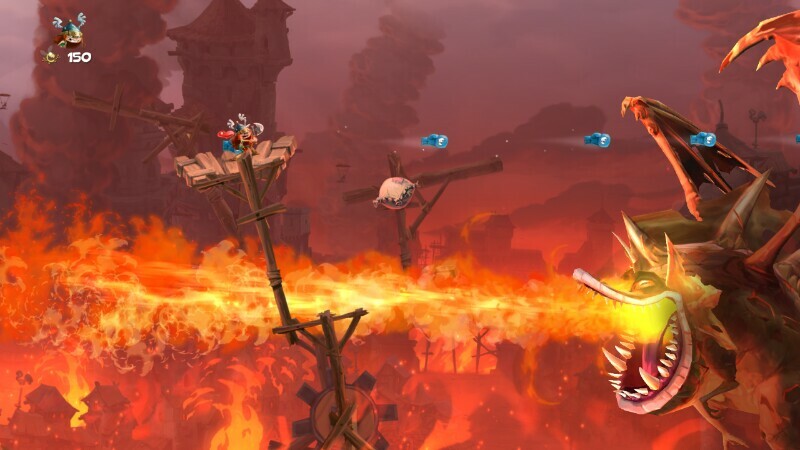 Overall, Rayman Legends is without a doubt one of the better 2D platformers that has released in the past decade. Almost everything about it is coated with excellence and charm. The Murfy levels might not be everyone's personal preference, but they do work well the majority of the time. With Grand Theft Auto V and other big titles looming this fall and holiday season, it's a shame Rayman Legends will probably get overlooked. Still, if you're searching for a platformer that rivals and sometimes even surpasses Nintendo's New Super Mario Bros. U, then Rayman Legends will be a satisfying and worthwhile addition to your game library, regardless of which system you get it on.